If you’re not afraid to roll your sleeves up and you love craft beer, get in touch. We’d like to hear from you! 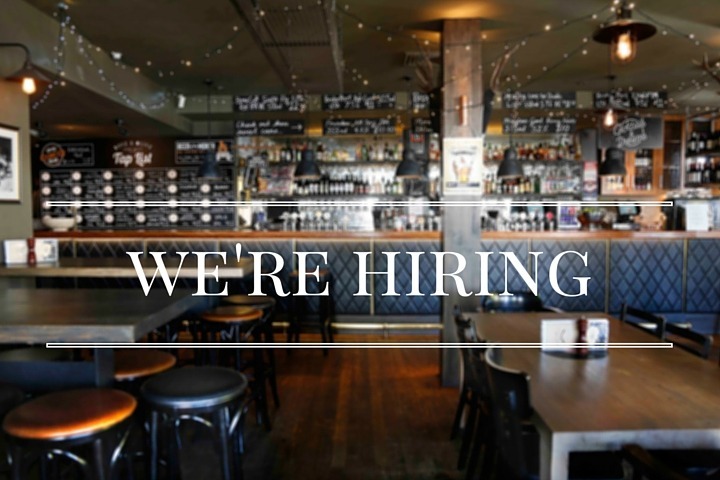 Kitchen Staff: Always interested in kitchen staff for various positions both full time & casual. Experience is about the role you are after, we have everything from kitchen cleaning and prep hands to a Sous Chef, plus Head Chef. It’s a busy kitchen (can do 250 covers in a Friday lunch) with a hands on team effort approach. We all do what is needed at the time to help the kitchen run smoothly; if the Head Chef can help clean dishes when needed, so can you. But if you’re a prep hand and helping out by sometimes cleaning dishes is below you, then this is not the kitchen for you. Lets be upfront here, team players only please. You think you’re a good fit, you can submit your details to: functions@doveandolive.com.au with the Subject Heading: Kitchen Job Application. OR just fill in the below and press submit (being this if for the kitchen, you can let us know your favourite craft beer but it’s not essential information for your job role 😊).